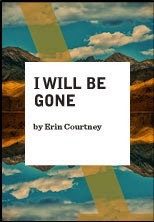 The premise behind Erin Courtney's I Will Be Gone is moody and evocative, creating mysteries and intrigue before the first line. Teenage Penelope, called Pen for short, has come to California to live with her aunt following the death of her mother. Aunt Jo lives very near an abandoned mining town, Bodie, a real place where the dilapidated remains of old buildings are protected as a historic site. Pen eventually gets a job as a tour guide in Bodie, coming a little too close to some of the ghosts -- of her mother's past and the town's past -- who haunt the ghost town. As tensions rise, Jo runs into her old love, now the town's mayor, a gawky teenage boy starts hanging around Pen, and a homeless man the other townspeople protect begins to get a little more erratic. It's all intriguing as you find yourself puzzling out who's connected to whom in what way, what happened in the past, and how Courtney's story will unspool. The play's dramatic quotient is aided immeasurably by Andrew Boyce's scenic design, with a whole miniature ghost town that descends from the rafters when it's needed. It's detailed and spooky at the same time, giving director Kip Fagan lots of nooks and crannies to play with as actors crawl underneath the level that carries the ghost town. Ultimately, however, the script doesn't support its characters as strongly as the set does, as storylines and characters end up more vague than compelling, more fluky than fully developed. The one exception is the character of Jim, the homeless man, brought to life nicely by Triney Sandoval. The others all seem like ciphers, like character fragments. What lingers in your mind is Boyce's haunted, haunting set. For I Will Be Gone to resonate, its ghosts need to become more substantial.